Come with us on a journey into the ancient past... to find the Christ child in Bethlehem. 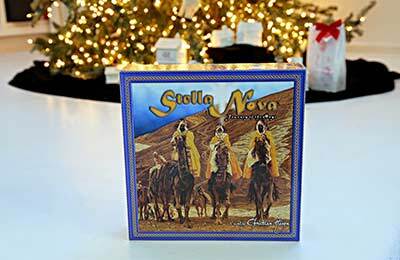 We are wise men and have seen a new star, a Stella Nova, arising in the east. We believe it will guide us to the new-born Messiah. We are excited about seeing him, but worried about a long journey over mountains and across deserts. 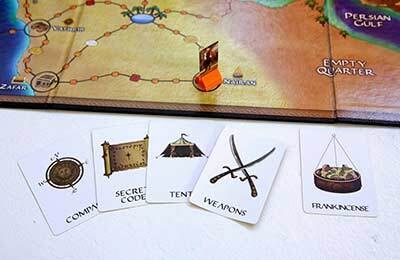 We will face many dangers: hunger, thirst, sand storms, robber bands, and worst of all, the spies of King Herod. It won't be easy, but it will be worth it. The Christian Game of the Year! Why? 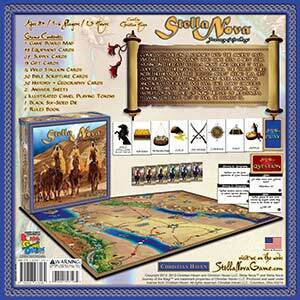 Because Stella Nova is really fun to play, it’s beautiful and top-quality, it’s authentic and educational, it’s made in America, and it keeps Christ in Christmas. 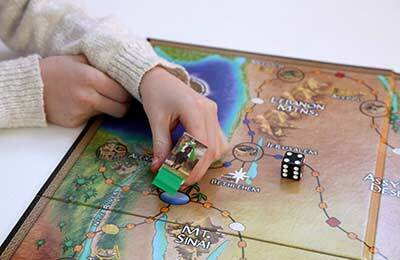 Gather round with family and friends to laugh and play, and celebrate the birth of Christ and the true meaning of Christmas. 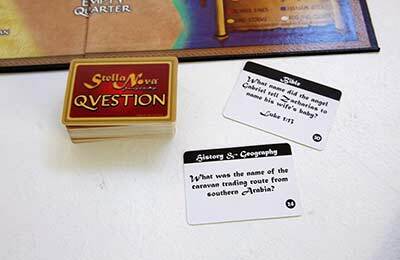 Stella Nova means New Star in Latin, and the game is a race to see which of the wise men can be the first to reach the Christ child in Bethlehem with the three gifts of gold, frankincense and myrrh.